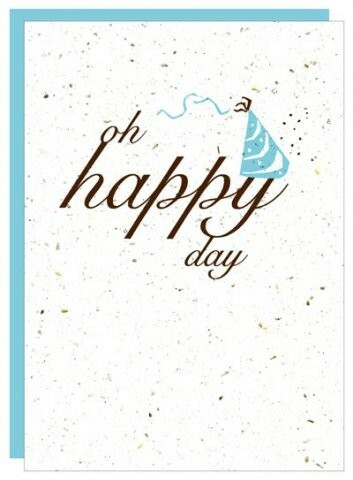 Botanical Paperworks - Plantable Paper Gift Cards - "Oh Happy Day"
This stylish and eco-friendly birthday card is made from 100% post-consumer waste and is embedded with high-grade, pure North American wildflower seed blend. 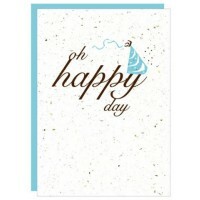 When the birthday boy or a birthday girl plants the card, it will recycle itself into wildflowers! Plant the paper on a sunny spot. 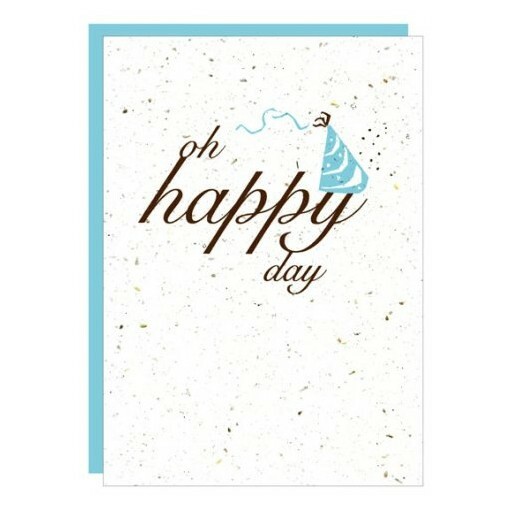 You're reviewing: Botanical Paperworks - Plantable Paper Gift Cards - "Oh Happy Day"